Colorado sports reporter, Noel Winters heads to Louisiana after finding love letters in her deceased mother’s belongings. 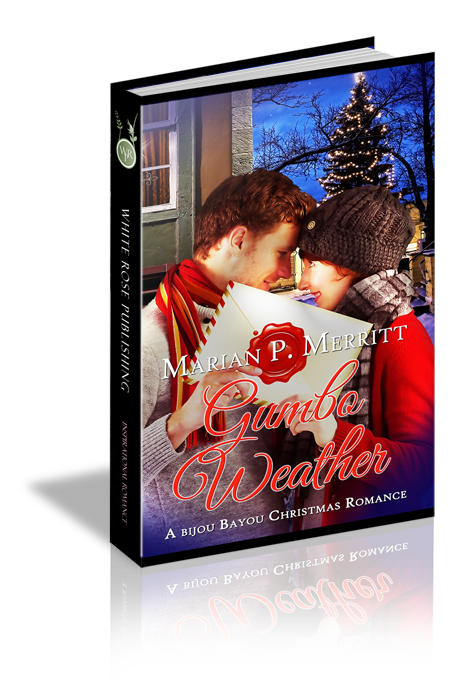 When her car breaks down near Bijou Bayou, a handsome, struggling pitcher and part-time mechanic comes to her rescue by fixing her car, and offering to help her find her father. Only problem? As her alias, Micki Barrett, Noel wrote an article criticizing Justin Gravois's big league debut. Now she’s fallen for him, can she ever find the courage to tell him the truth? Justin Gravois, professional pitcher, wanted to make his uncle proud. When he finally got his shot, his dream turned into a nightmare. It didn’t help that sports reporter, Micki Barrett, wrote such terrible things about him. Now, Justin wants to forget about the past and move forward to next season. When he falls in love with Noel he wonders if she’s an answer to his prayer. “No, no. Noooo.” Noel Winters smacked the dashboard of her compact car. “You can’t go out on me now.” She tapped the check engine light in hopes that the annoying yellow glow would disappear. No such luck. A quick scan of the area melted her confidence. Nothing but semi-darkness and pine trees. She’d veered off the interstate twenty minutes ago. Only another five miles to Bijou Bayou. “I hope you’re worth it.” She’d conjured up several scenarios of what it would be like to finally meet her father. With the possibility a soon-to-be reality, her fears ran amok. Would he acknowledge her as his daughter? Would he like her? So many what ifs. And now, the list seemed miles longer than it did seventeen hours ago when she’d left Colorado. “C’mon, phone. Where are you?” She rummaged through the fast food bag and the granola bar wrappers strewn on the passenger seat. The sound of her purse’s contents falling onto the floorboard sent her heart deeper into despair. Her fingers grazed the slick LED screen. Yes. A quick swipe and her last hope diminished along with the setting sun. Urgh. Dead. Why hadn’t she plugged it in earlier? With only a sliver of light from the darkening sky, she gathered her fallen items, her over-packed suitcase, and the last tidbit of courage, and started down the narrow road leading to the small town where the Internet said her father lived. The deafening chirps of crickets and the deep-throated croaking of frogs, once pleasing during her summers spent in South Texas, now reverberated in the night like the warning calls of angry gangs ready to pounce. The muggy, humid air tugged at her hair, makeup, and clothes. She wiped beads of perspiration from her forehead and forged ahead. As the last strands of daylight disappeared behind the tall pines lining the road, eerie shadows played havoc with her resolve. A crackling noise in the brush sent her heart racing—a perfect hiding place for a mask-clad, crazy man wielding a chainsaw. Yet, with the herd of mosquitoes buzzing her head, she couldn’t hear a chainsaw should one be running right in front of her. A chill snaked along the back of her neck. Only five miles. She could do this. She trudged forward. Two steps later, she sunk into something soft and mushy. Warm ooze wrapped around the top of her foot. “Really? These are new loafers.” A tug only resulted in a bare, slimy foot. Great. No phone, no light. She breathed in the saturated air filled with the odors of earth, pine, and musk. With one hand on her suitcase for support, she bent to begin her search. Slime—wet and slick covered her fingers. “Eeewww.” She dug deeper into the sludge. Found it. A slurping sound gurgled as the glob released her now-ruined flat. “Gross.” The stench of decay filled the night air. Noel slid her muddy foot into the muddier loafer, and then wiped her fingers on the grass next to the side of the road. Probably a good thing she couldn’t see what she’d stuck her hand into. While ignorance could be bliss, in this case, it was nothing short of pure survival. She propped her suitcase on the pavement once again and headed toward town. The mosquitoes began their shock and awe attack of dive-bombing the tender exposed skin of her face, neck, and forearms. Flailing her arms to bat away the unruly insects only resulted in bruises on her thigh from the uncooperative suitcase, and blisters on her foot from her ruined, gravel-filled, muddy shoe. As it approached, a vehicle’s engine drowned the sounds of the Louisiana night and slowed next to her. Noel’s pulse pounded. She’d thought her fear ran amok before. Now it escalated to full-blown panic mode. With nothing to use as a weapon, unless flinging a muddy flat-heeled shoe like a Ninja Star counted, she straightened her shoulders and marched on. Maybe if she appeared confident, the person in the car would ignore her. Not likely, though. A girl walking on a dark road with a mud-covered foot and ankle, flinging one hand around her head while fighting a malfunctioning rolling suitcase with the other did not exude confidence. More like craziness. Maybe that would be enough to deter the driver. How had she gotten into this unsettling position? Had her incessant need to find her father trumped her good judgment? Maybe, if she’d taken her usually reliable car in for a maintenance check before she left Colorado Springs, she wouldn’t be in this fix. The long, white sedan slowed next to her. Should she stop? Or keep walking while focusing straight ahead? The passenger window lowered. A quick peek revealed an eerie green light casting shadows on the driver’s face.